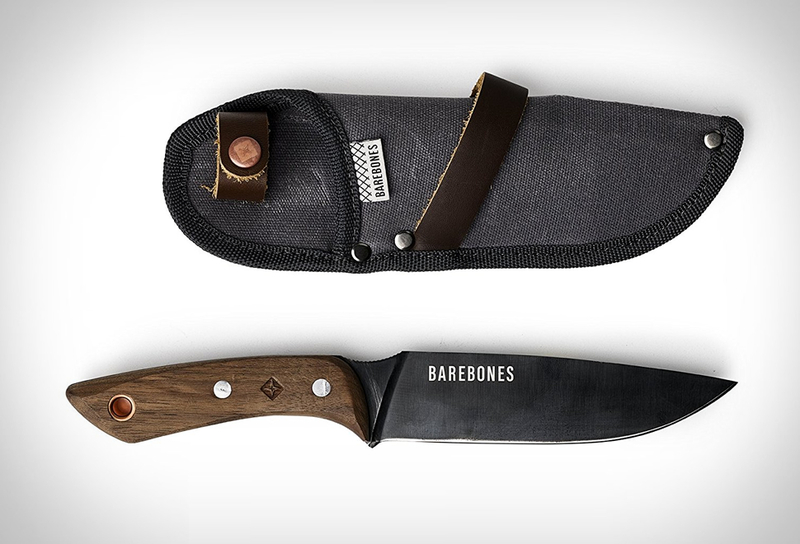 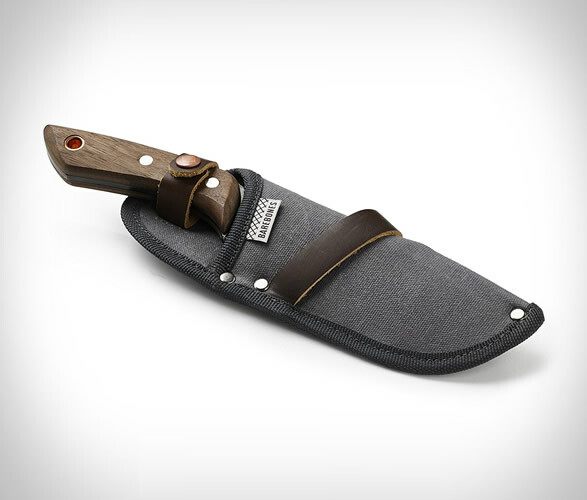 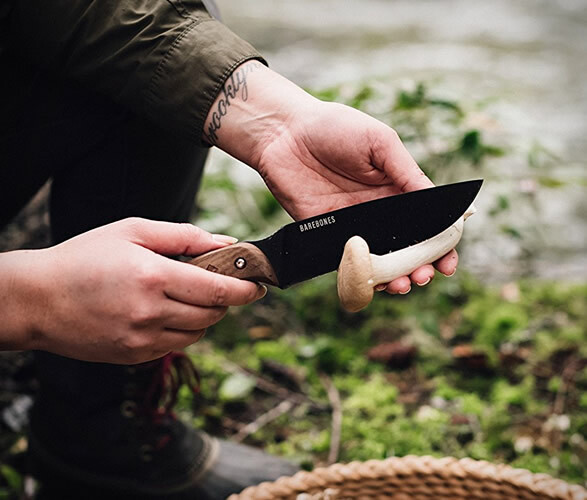 Barebones Living have introduced a robust Field Knife that can handle anything you throw at it. 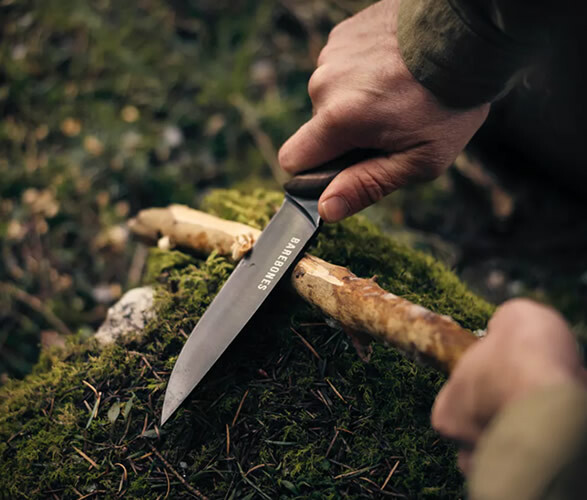 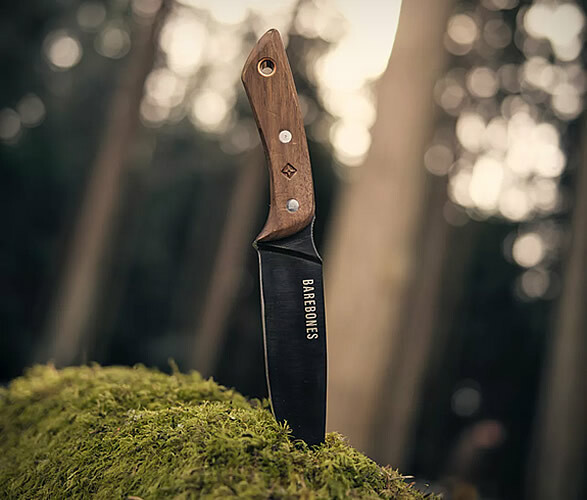 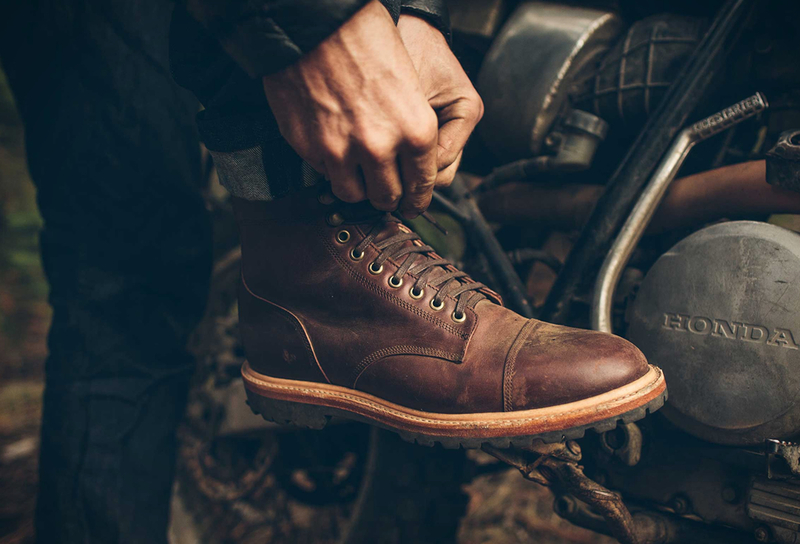 The indispensable outdoorsman´s knife features a high carbon tempered steel blade, reinforced by a full tang, and a durable walnut handle with thumb depression for comfortable handling. 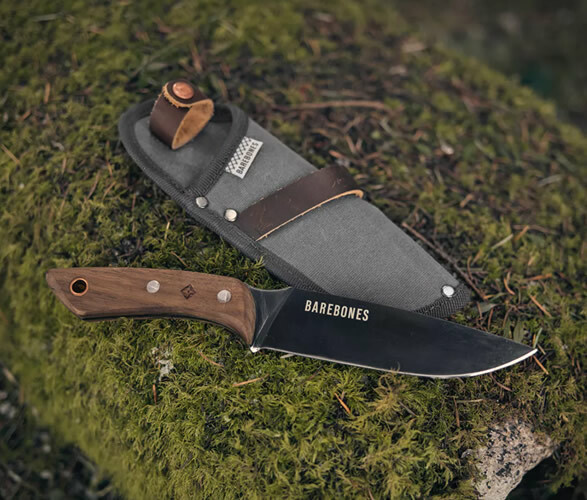 There is also a inlaid copper lanyard ring on the handle, and the knife comes complete with its own waxed canvas sheath and belt clip.